The National Association of Chronic Disease Directors (NACDD) has released videos to encourage adoption and strengthen implementation of the Whole School, Whole Community, Whole Child (WSCC) model. 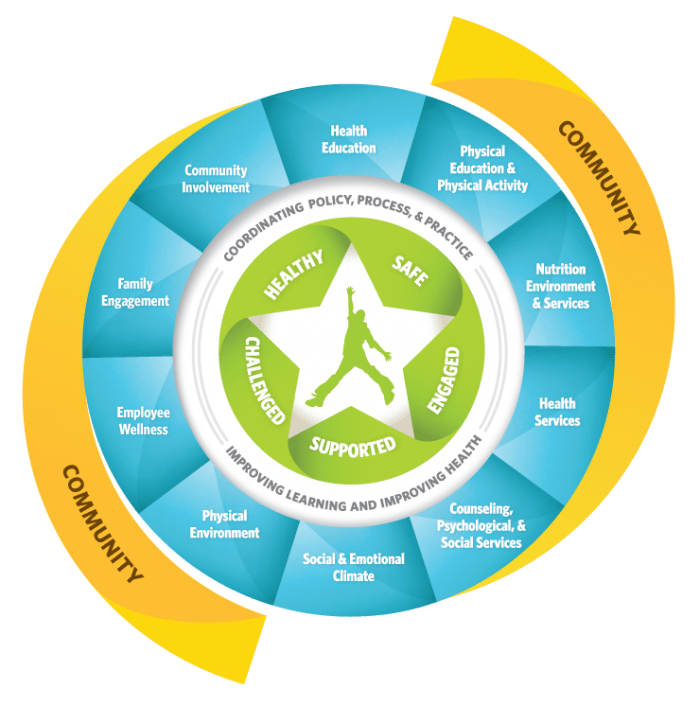 Developed by the Centers for Disease Control and Prevention and ASCD, the WSCC model uses an integrated, collaborative approach to address barriers and supports related to learning and health. To access the videos, click here. The Achievements Challenge, Sept 2018: The Final Standings are IN! Thanks! Great Resource to share with our partners.